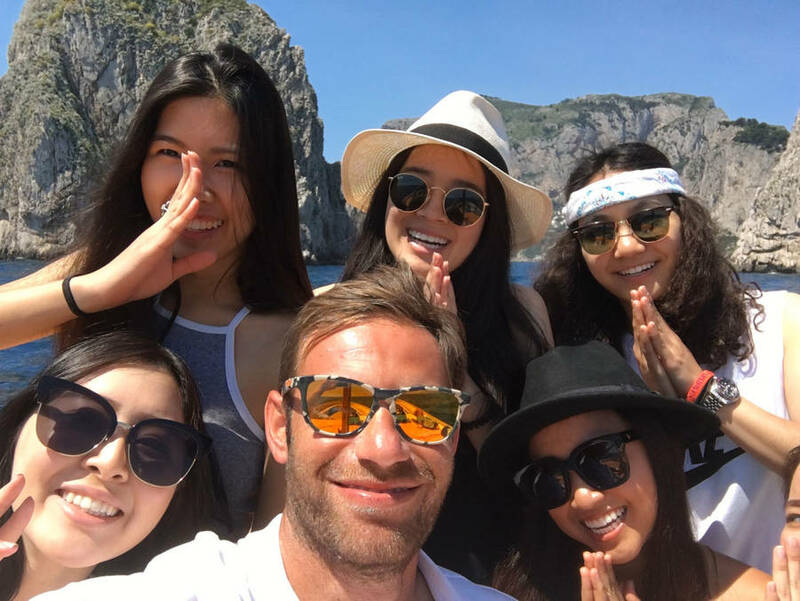 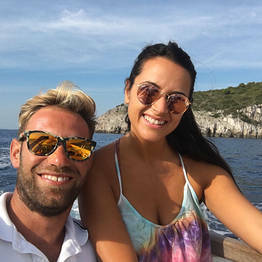 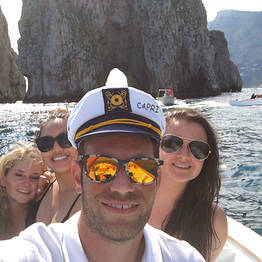 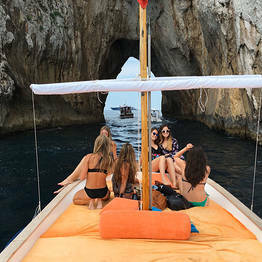 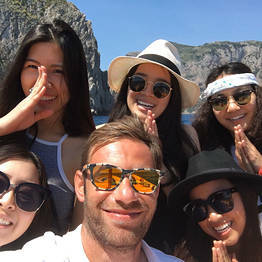 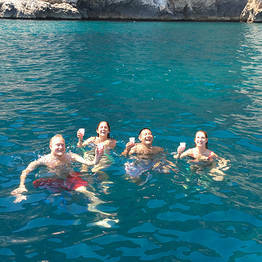 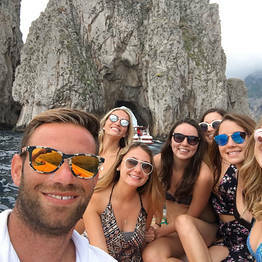 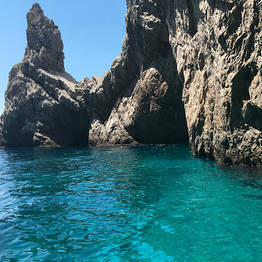 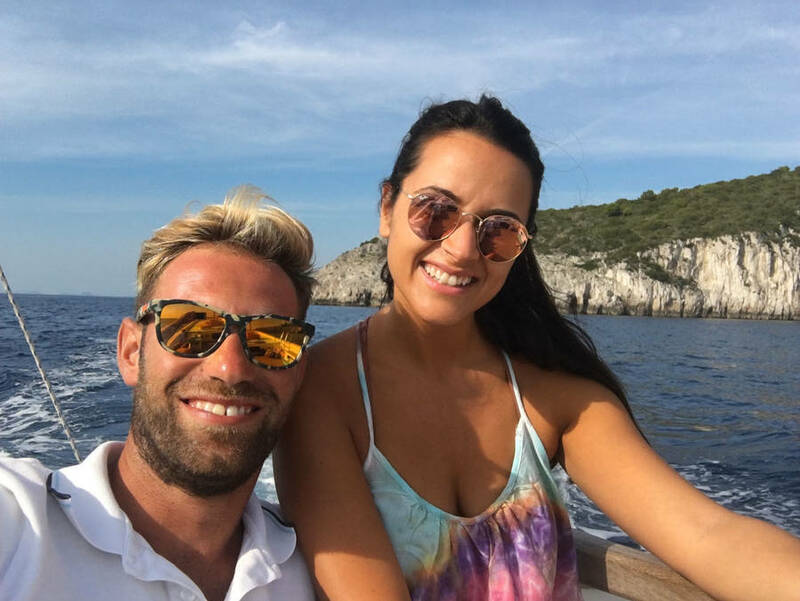 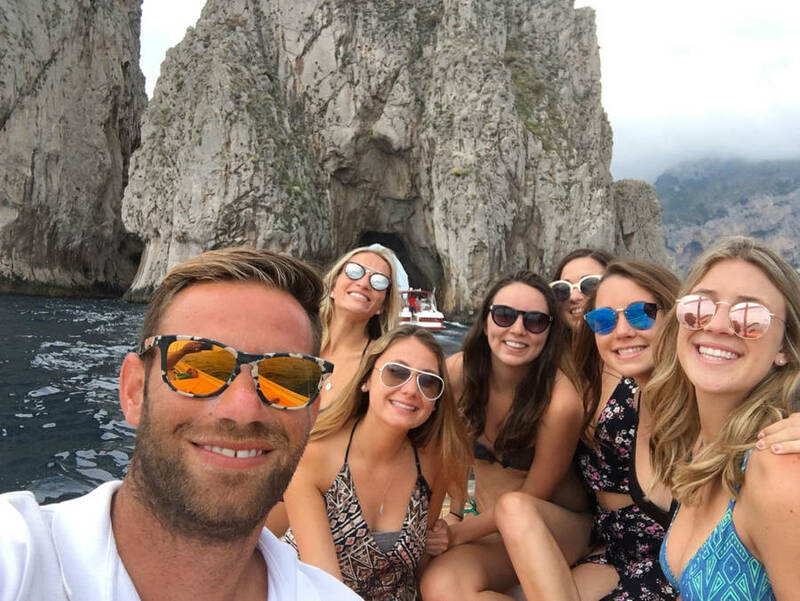 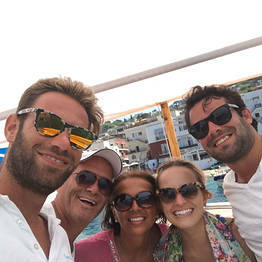 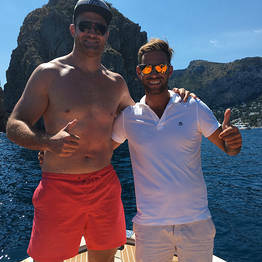 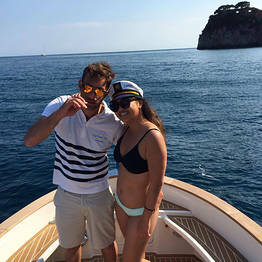 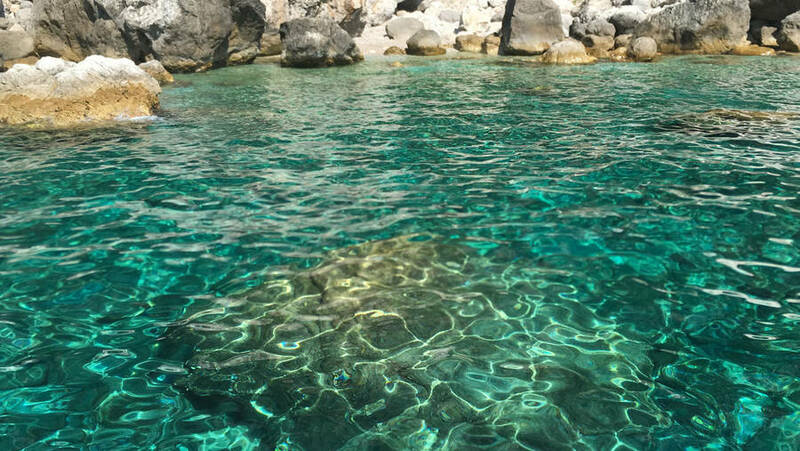 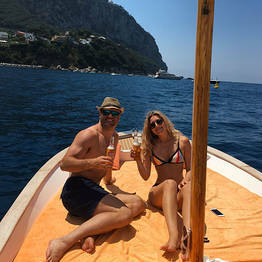 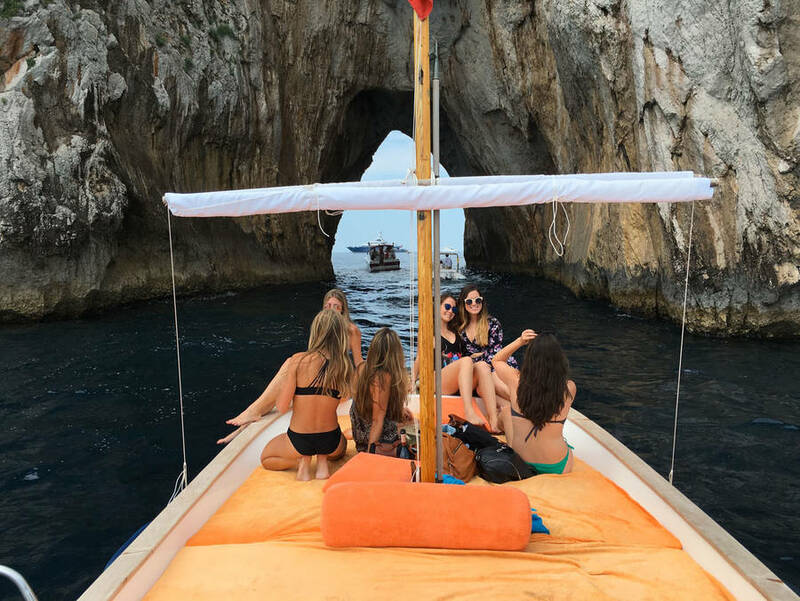 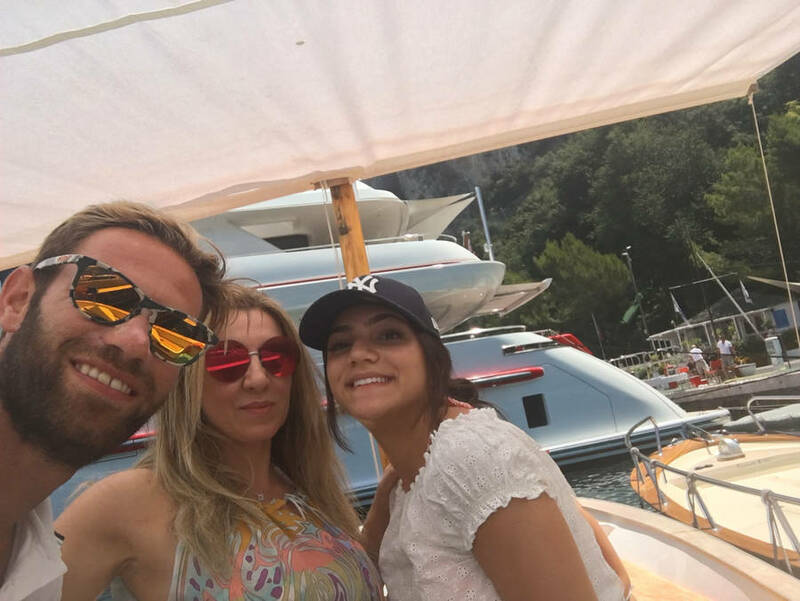 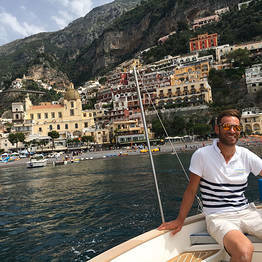 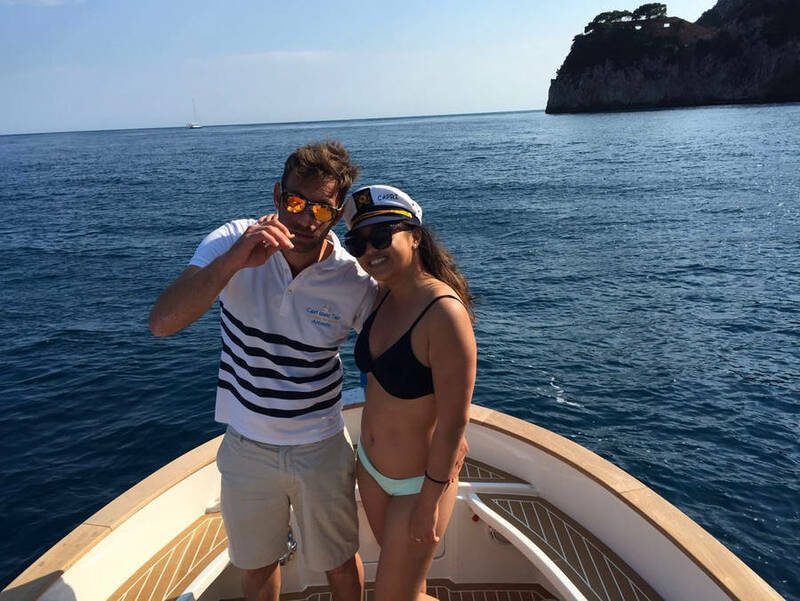 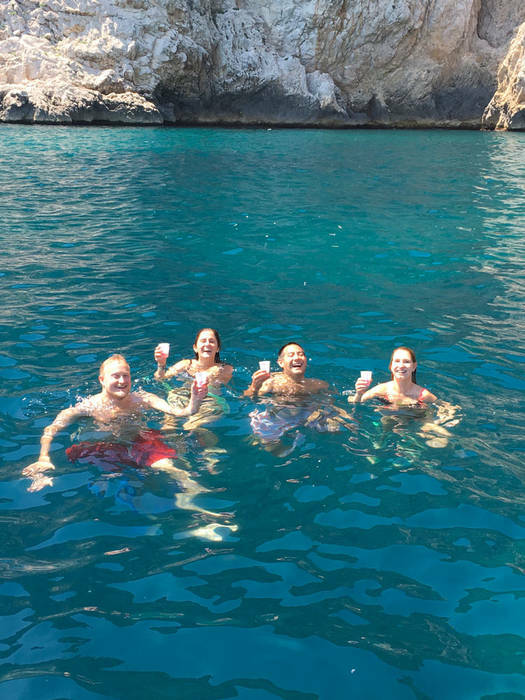 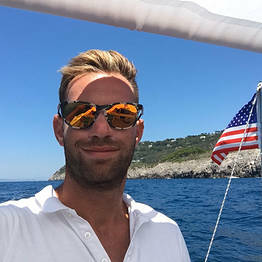 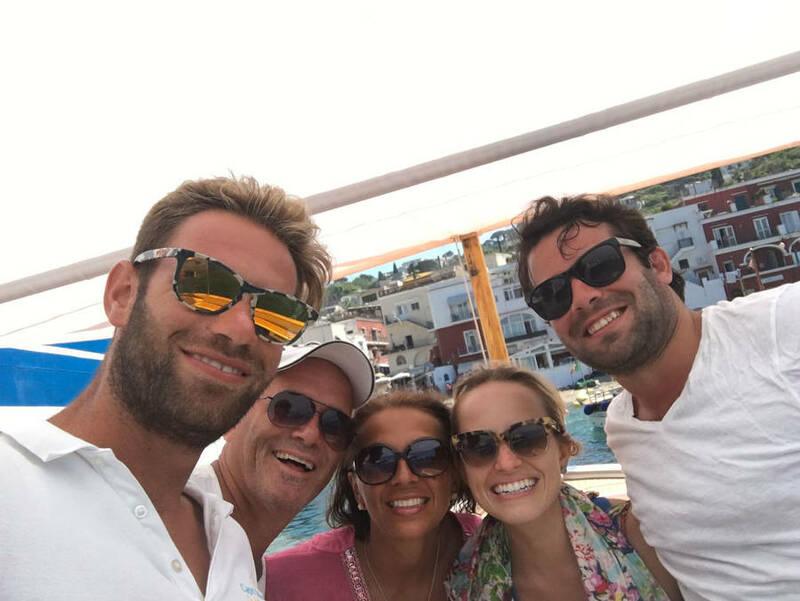 If you're looking for a fun boat tour of the island of Capri, choose the friendly and stress-free gozzo tours with Capri Island Tour and let your professional skipper Antonello show you the most beautiful and hidden corners of this stunning island with all the reliability of an experienced sailor paired with the hospitality and insider knowledge of an island native. 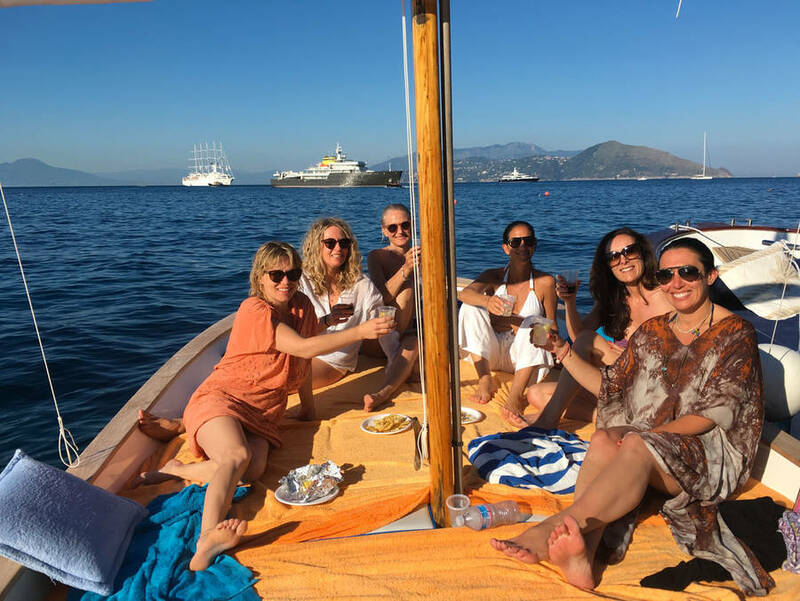 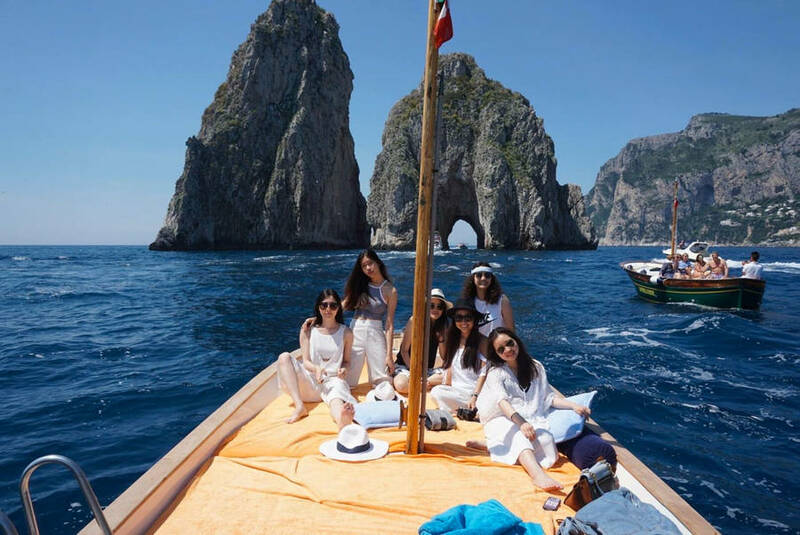 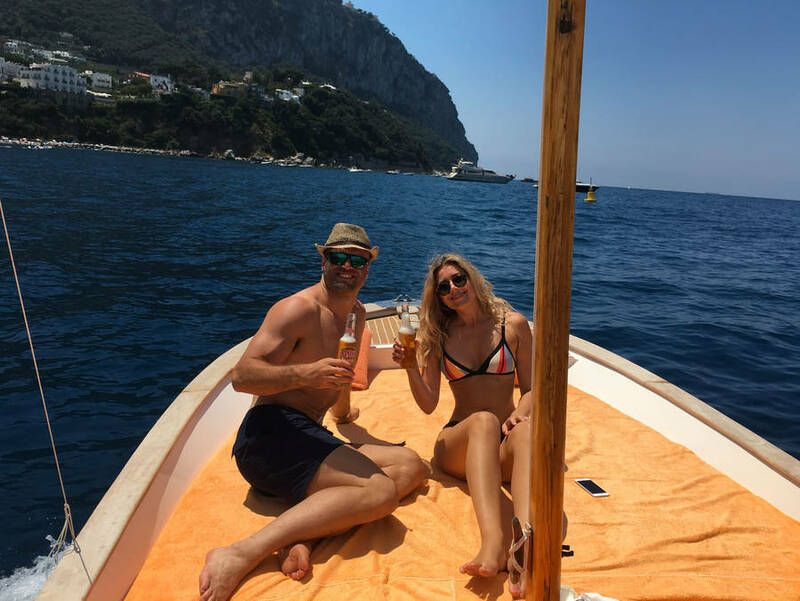 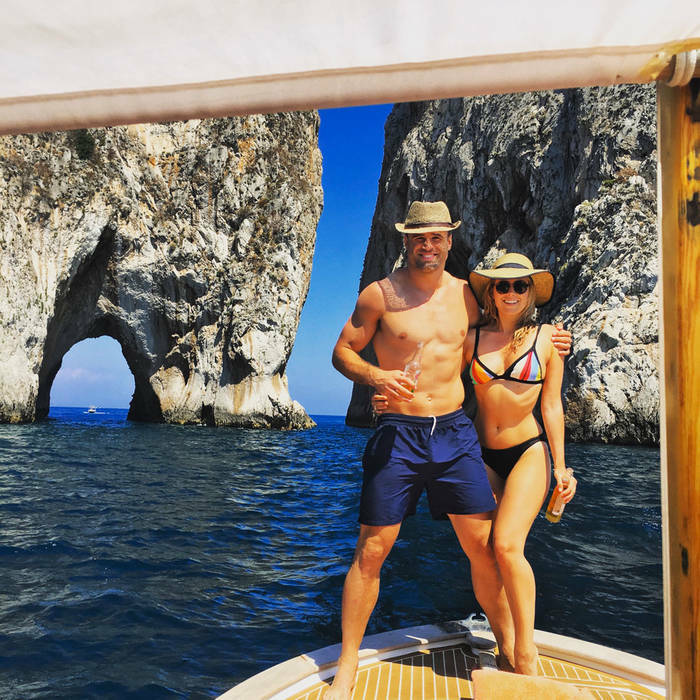 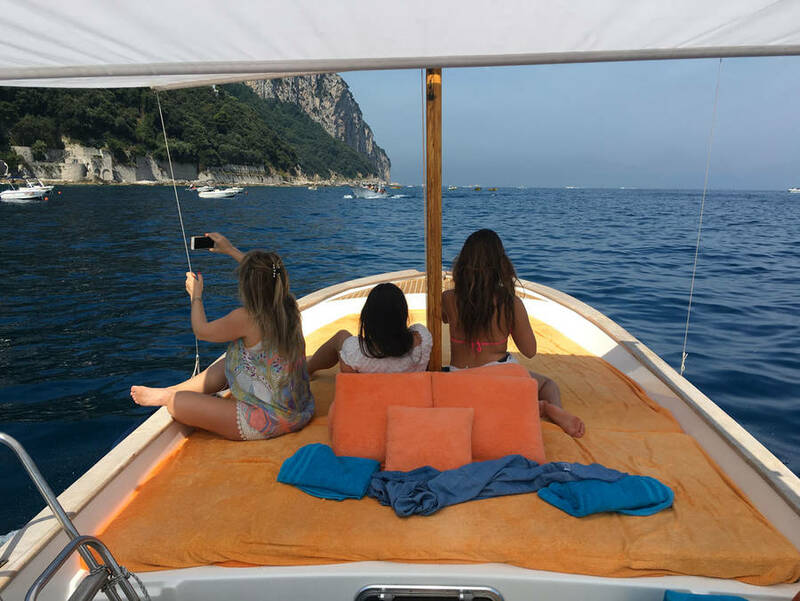 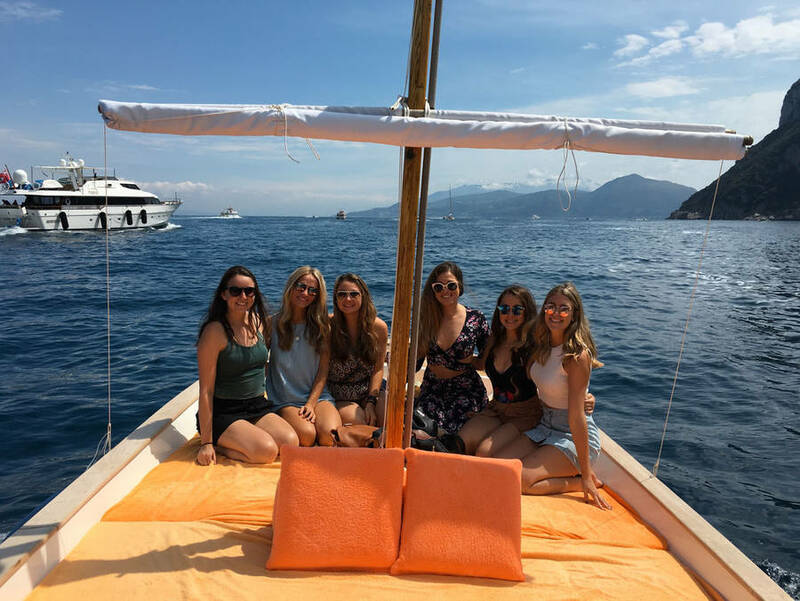 Full days at sea, short tours of the island, romantic sunset sails, and even tours of the Amalfi Coast and Sorrentine Peninsula: with Capri Island Tour you can choose the option that best fits your interests and travel pace so you can best savor all the beauty of the Bay of Naples! 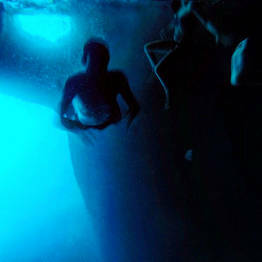 Do you want to know what you will see during your time at sea? 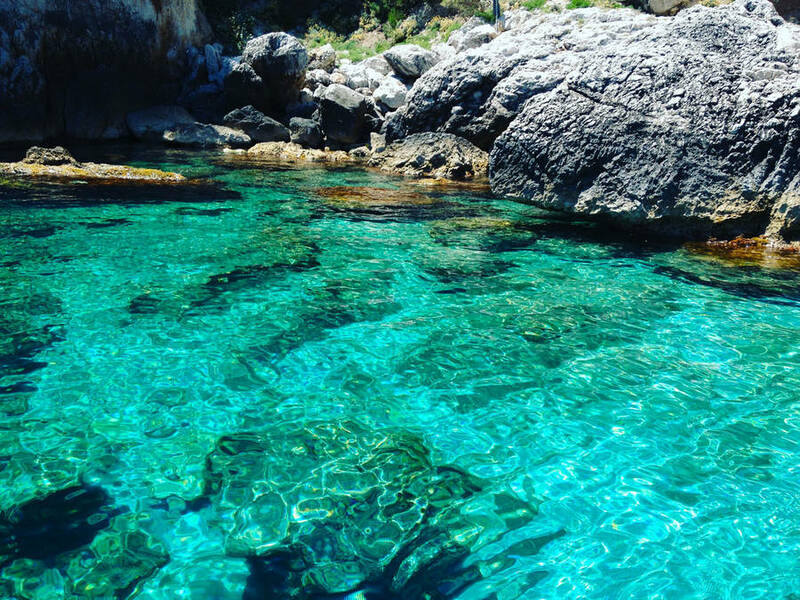 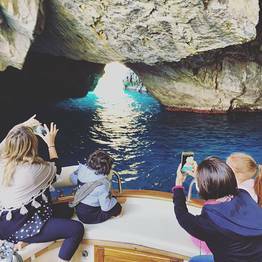 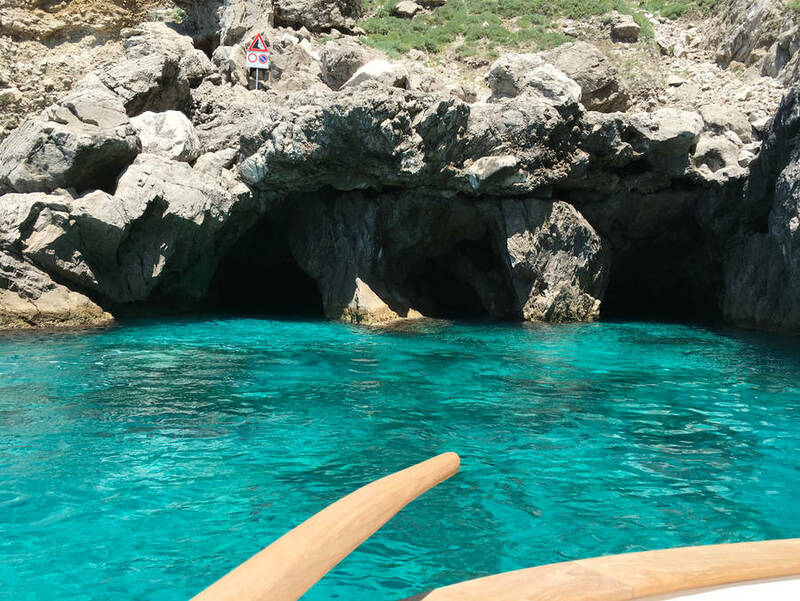 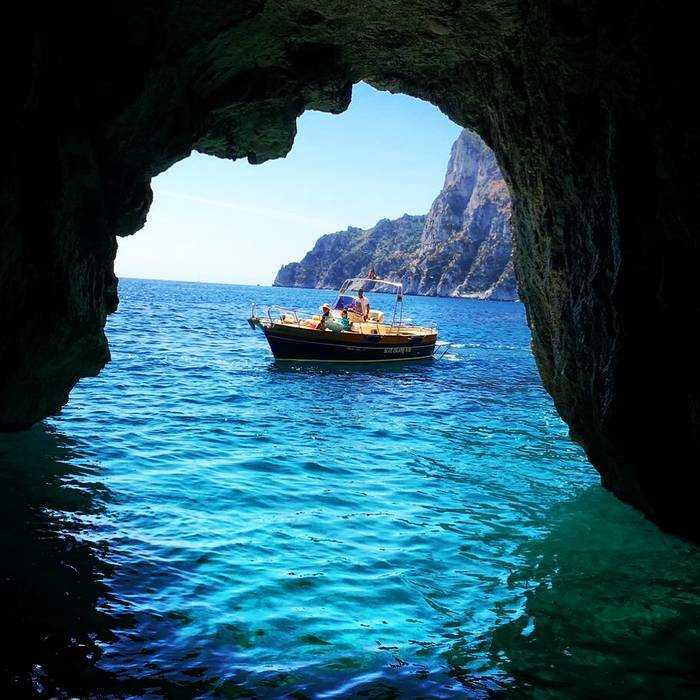 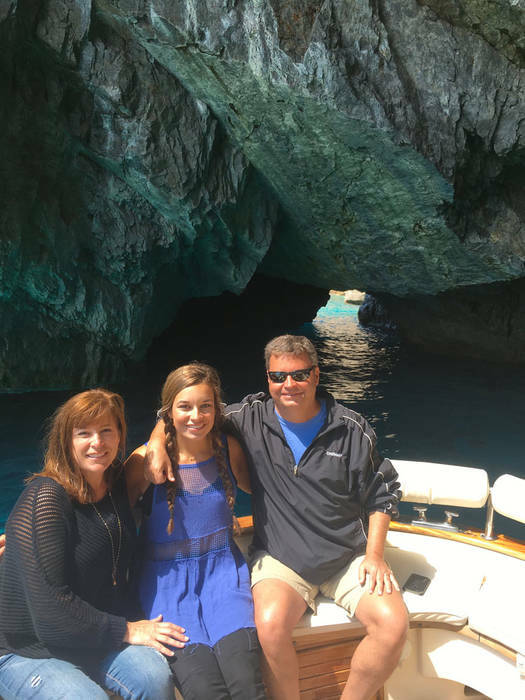 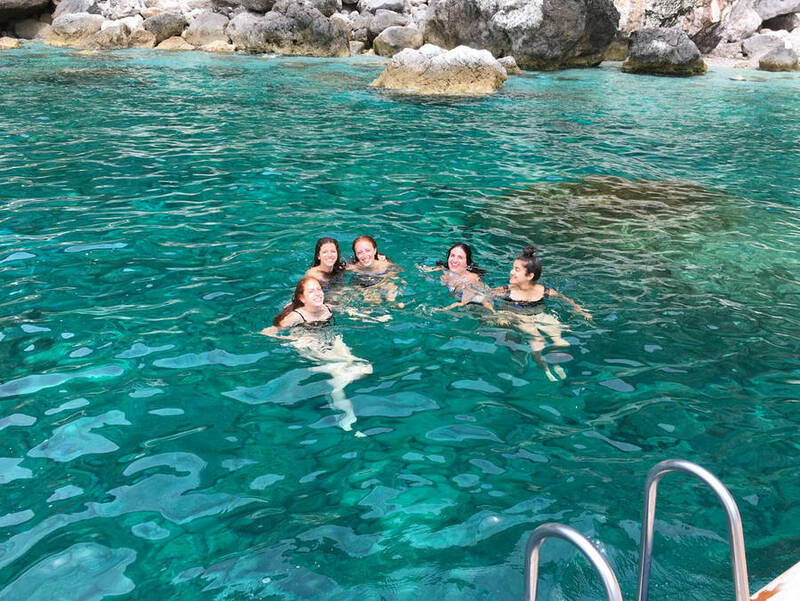 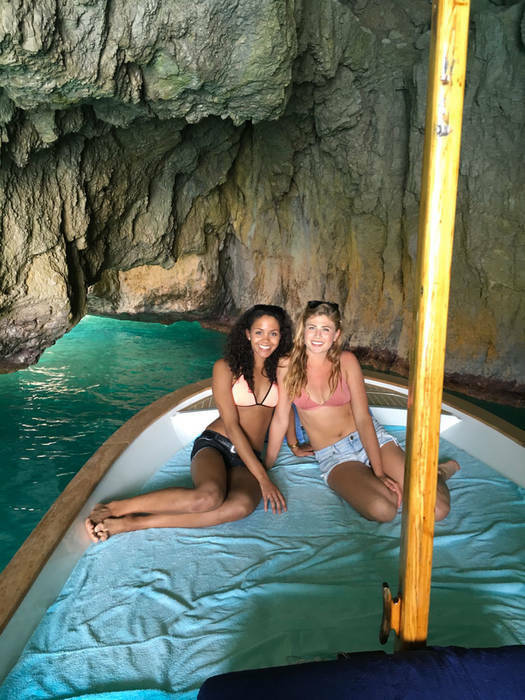 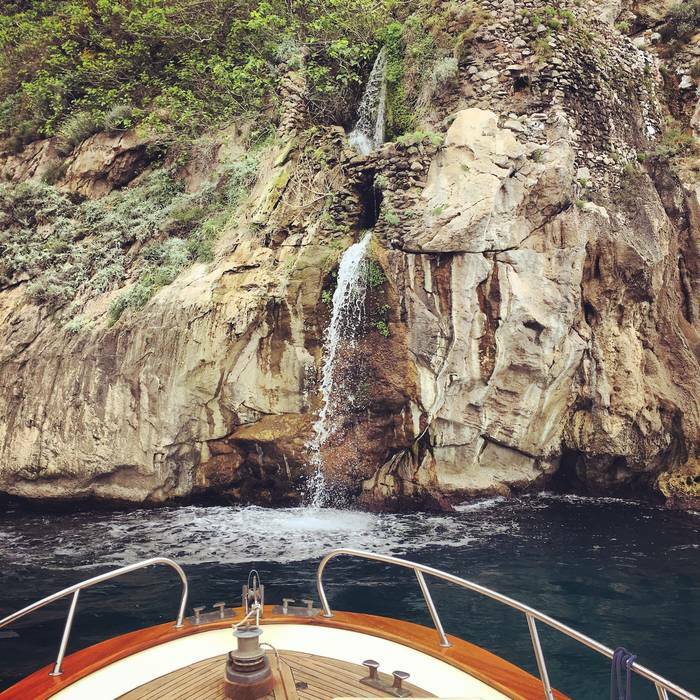 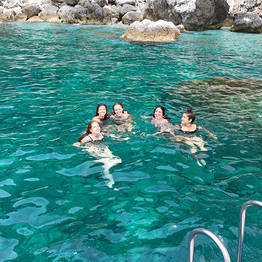 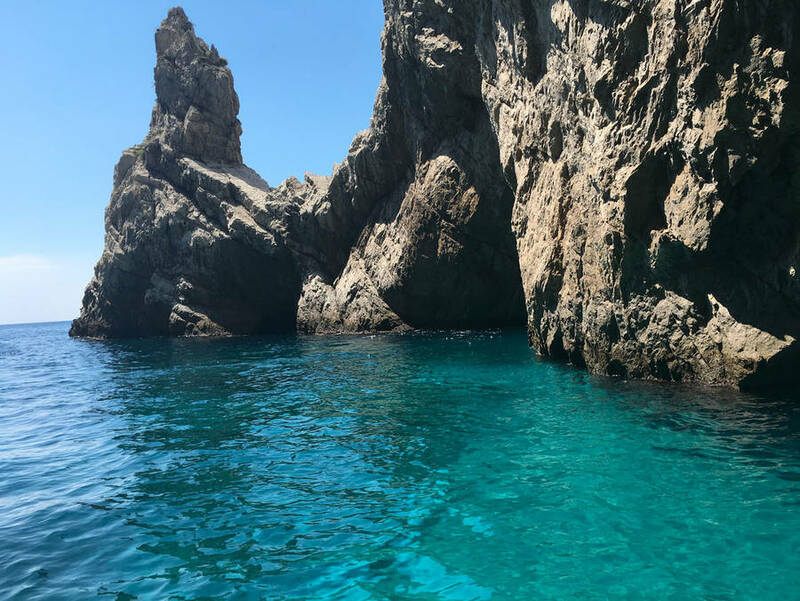 The beautiful sea caves along the coast - the White Grotto, the Green Grotto, the Coral Grotto, and the famed Blue Grotto - plus the Faraglioni, the Natural Arch, and the Punta Carena Lighthouse! 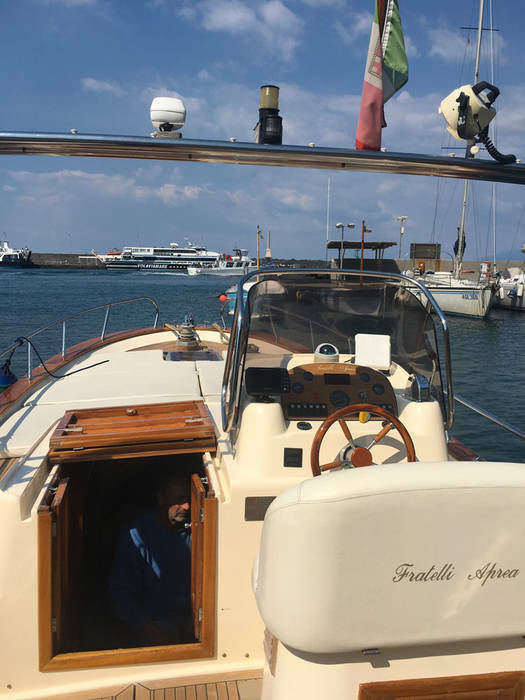 Fratelli Aprea 7,50 m open cruise equipped with ice chest with soft drinks, shower, sun awning, pillows, music, towels, snorkeling equipment, wc and lunch table. 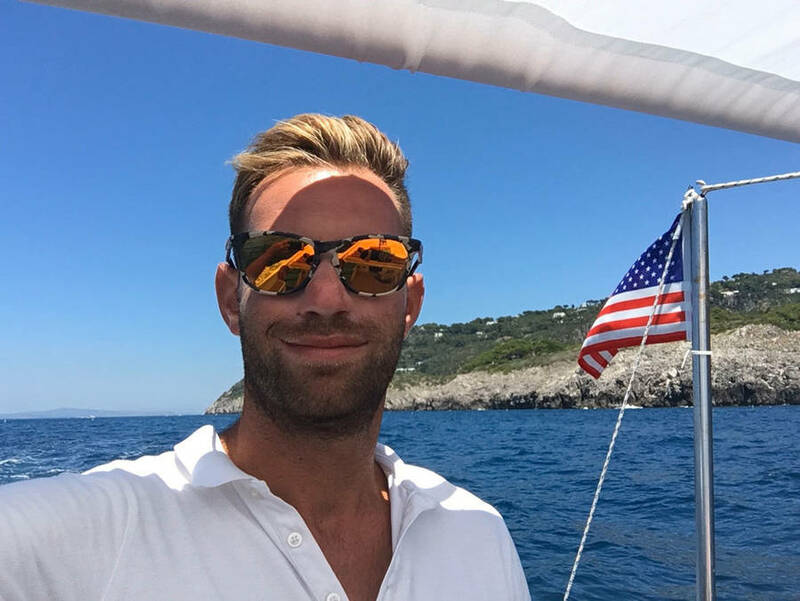 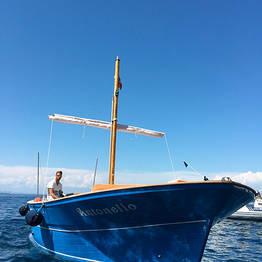 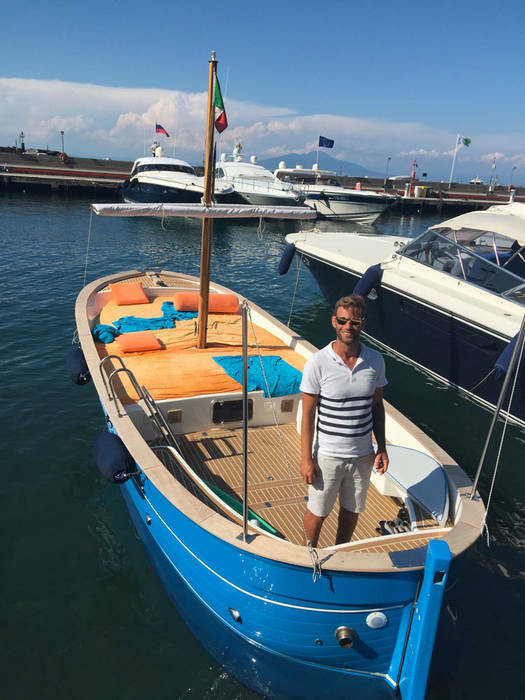 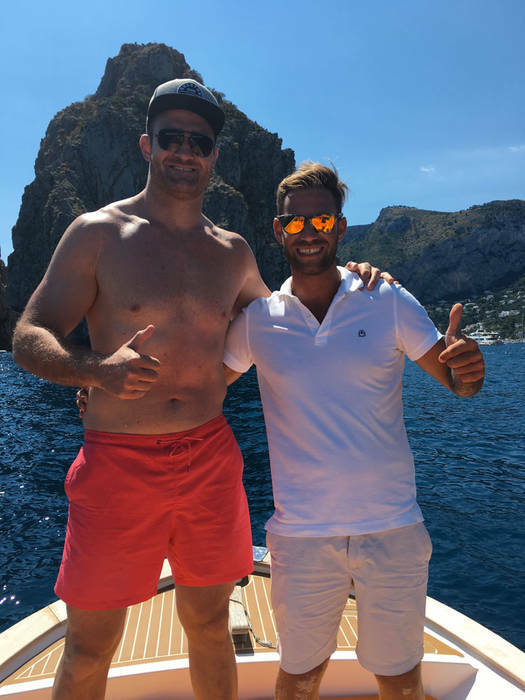 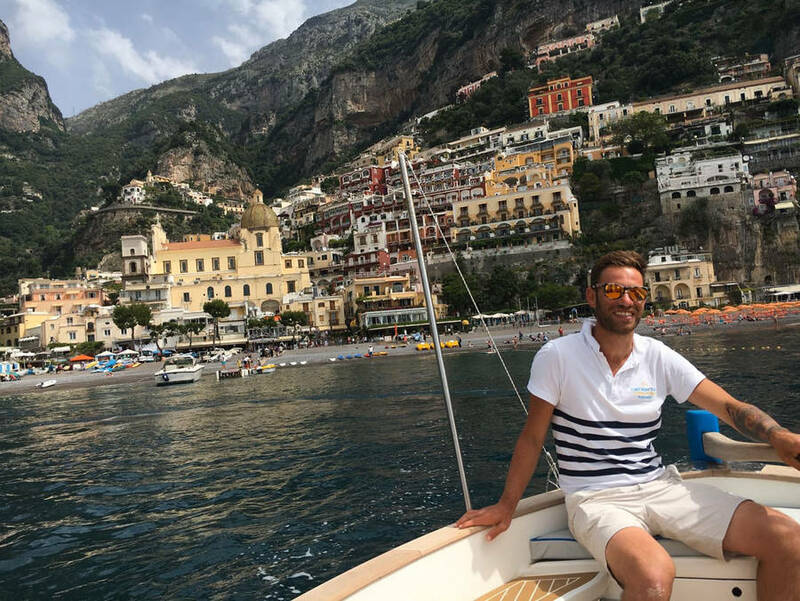 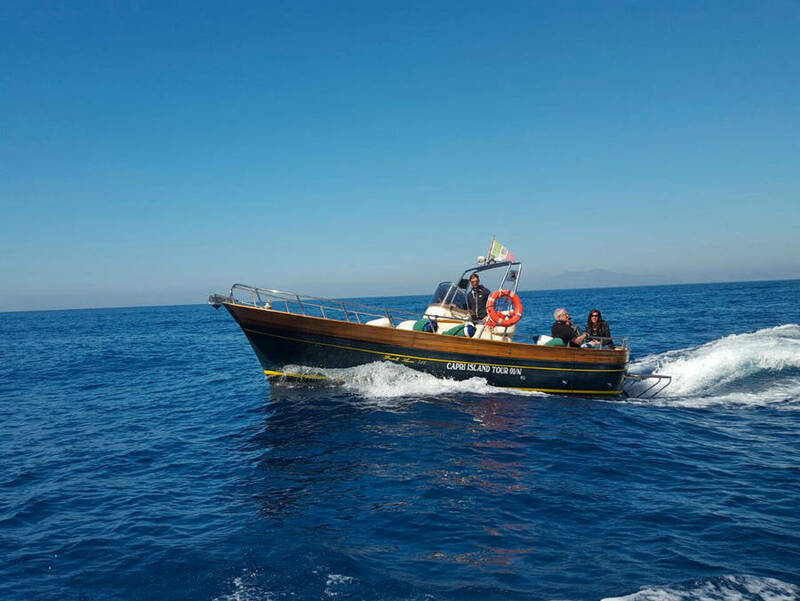 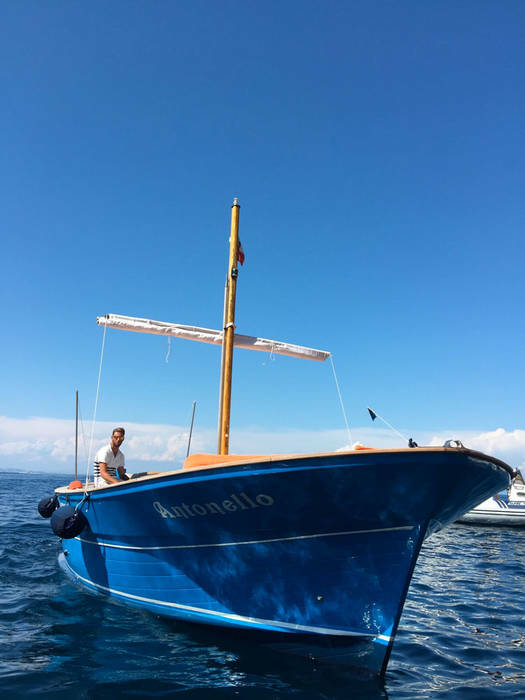 Antonello will welcome you aboard his traditional 7.5 meter gozzo boat with a smile to put you at ease, and will share with you all his interesting island anecdotes and history along with music and laughter for an unforgettable day at sea. 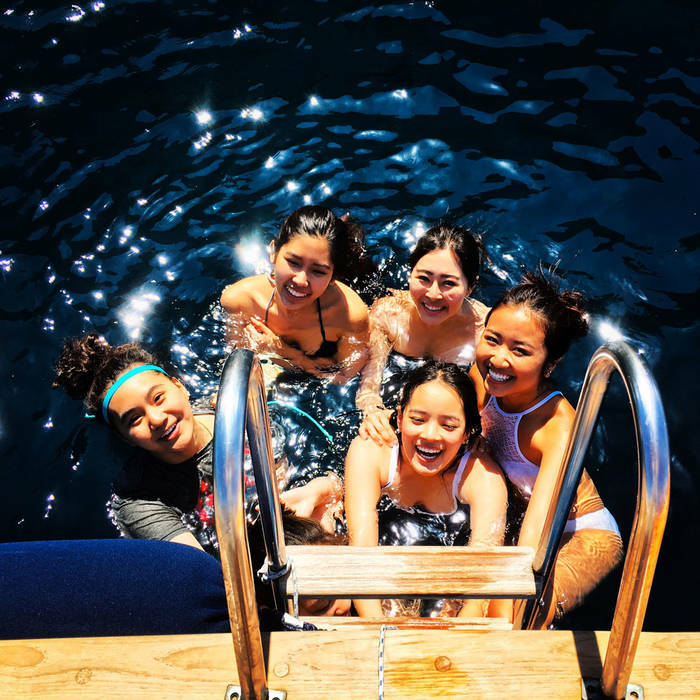 Stretch out on the large sun deck with island-style hand-embroidered cushions, grab a cool drink from the ice chest, take advantage of the snorkeling equipment to explore the sea floor. 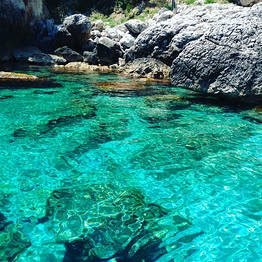 What else do you need for a perfect day on the Mediterranean? 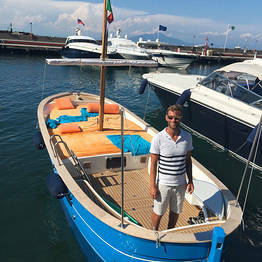 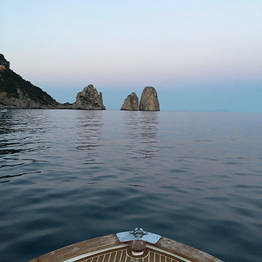 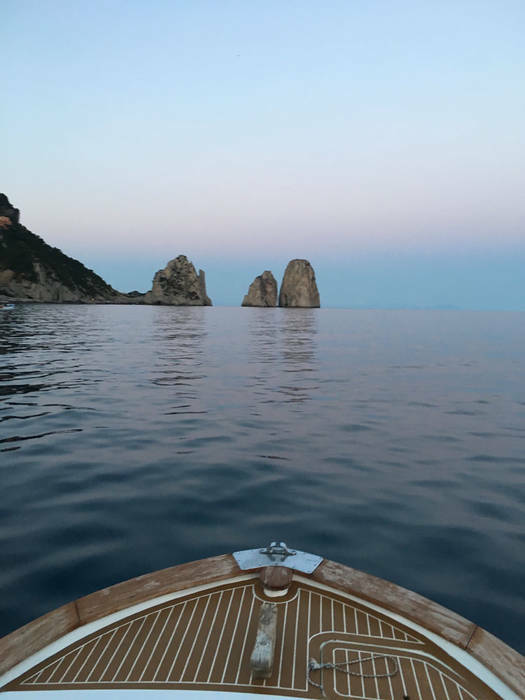 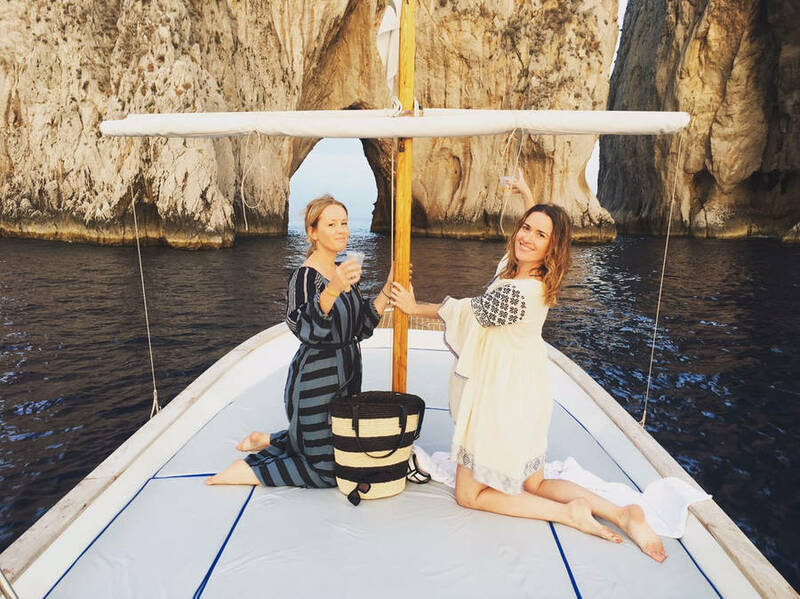 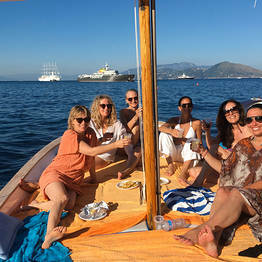 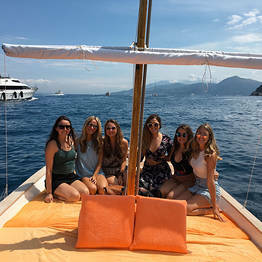 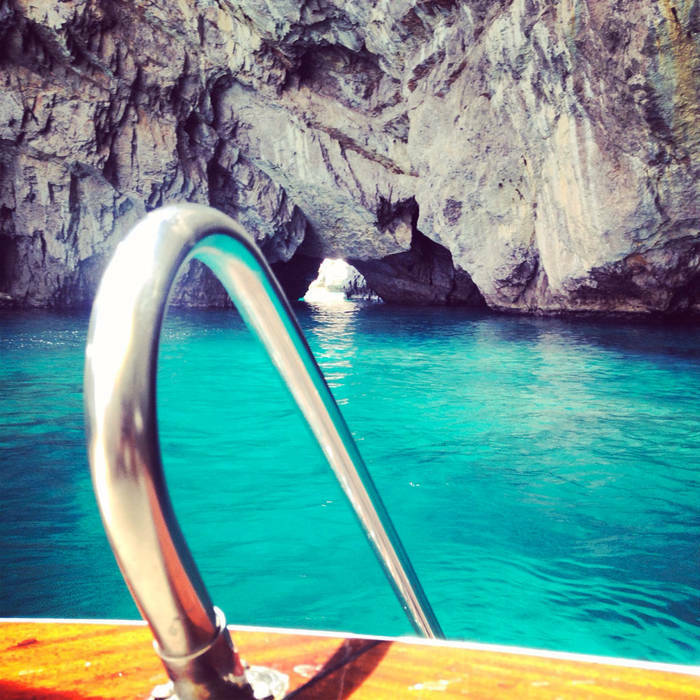 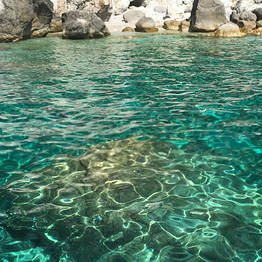 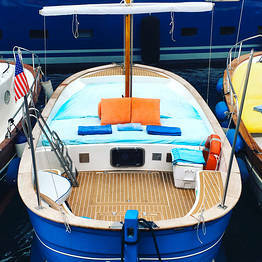 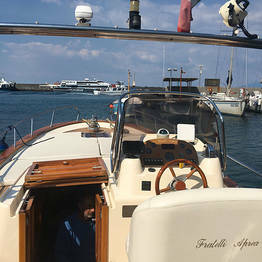 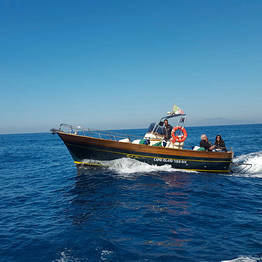 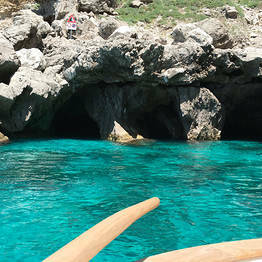 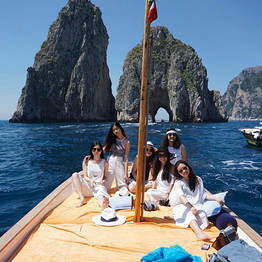 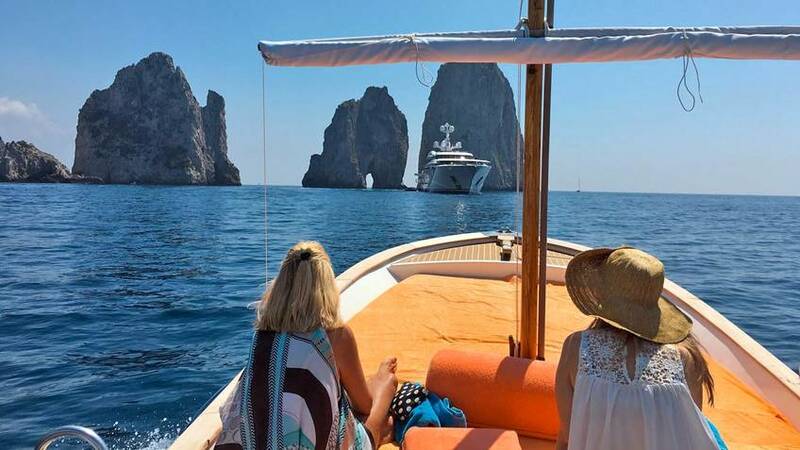 Capri Island Tour will welcome you aboard their traditional gozzi boats at Marina Grande on Capri. 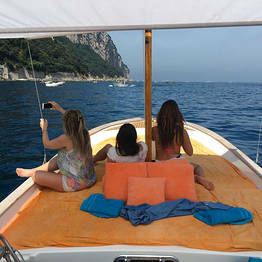 The meeting point for boat tours is at the entrance to Capri's marina at Bar La Vela.